The Fourth of July is a spectacle for me. They light off major fireworks on the streets. Often six parties firing them off. Here in California. Maybe it's because the fireworks blow off every night at Disney near us. They need to make it better. The locals. They try hard. It's amazing. And then the next day Primus and mastodon. 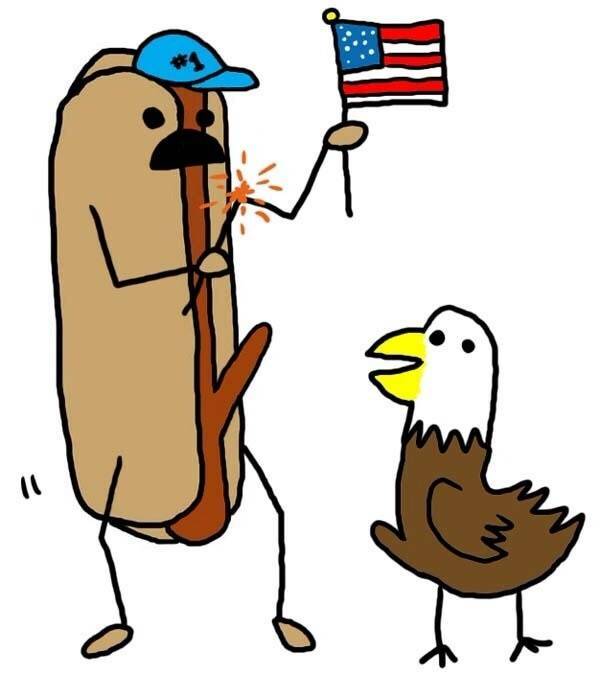 I hope everyone has an excellent fourth! I hope you have a great fourth too! 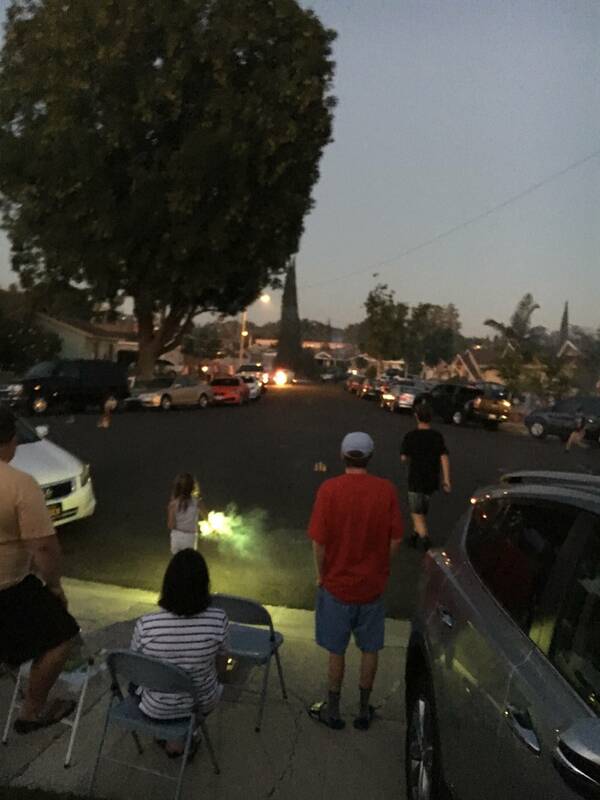 I live just outside the city limits, so my neighborhood goes a little crazy with the fireworks. Everything is still legal here in SC including 5-inch artillery shells. There is one guy in the neighborhood that spends several thousand every year, it's an amazing sight. That is what I'm talking about. I'm gonna take some pictures! Sweet, I'll post some too. Cheers! Don't forget to fly the flag!! I thought I would post a quick story about my flag. In the summer in the 80s my middle school was a former high school and had a pool. 14 foot a real pool. At one end was mounted a giant flag. In the summer after tenth grade my friend had found a secret way into the pool. He also found out custodians were off sunday nights. So we got the pool all summer long we brought girls. We brought weed, and beer. We only swam. Never vandalized. Then the summer ended. The janitors were working again. I captured the flag. When I left. I still have it somewhere. I may have lost it after my stroke and three brain surgeries. I wanted to fly that sucker. My flag!!! I am not proud I stole the flag. But I had shown it proudly ever since. It was a big one. If I can’t find it I may have to buy another. Next year. 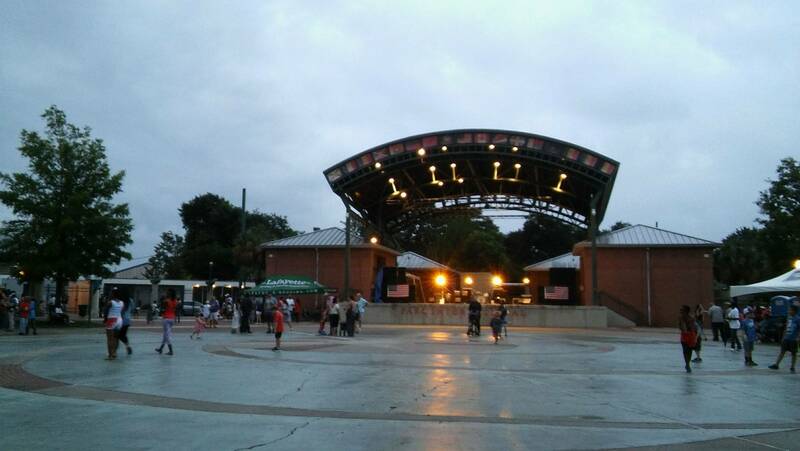 Still about an hour before fireworks show gets started down here in south Louisiana, Lafayette, LA. Crowd should begin getting larger. Kids are having fun running around right now. Worst of the rainy weather has passed through. Thumbs up to the city officials for not canceling the bands and fireworks show. The rain helped cool things off. I like the 4th, but most of my neighbors have horses and they are not looking forward to it, not much you can do to stop spooked horses from breaking down fences. The best way to celebrate the 4th of July is to take the week off. Really enjoying it. Plan on traveling to Inverness to check out the bike trails tomorrow. Happy 4 fingers is all I need day to you Mike! My traditional 4th Pinside greeting. The Fourth of July has always been a favorite but it is reaching new heights of greatness. I thought I had seen it all I'm fifty, but I think my best days are still ahead of me. In the future I want to both get big fireworks and possibly launch them on rockets. My friends wife was worried, but I think I should try this. I'm going to check the Internet on these types of things. What a great time. The fourth signals the beginning of the summer to me. Let the good times roll! The twilight time, it always looks so different in pictures than real life. 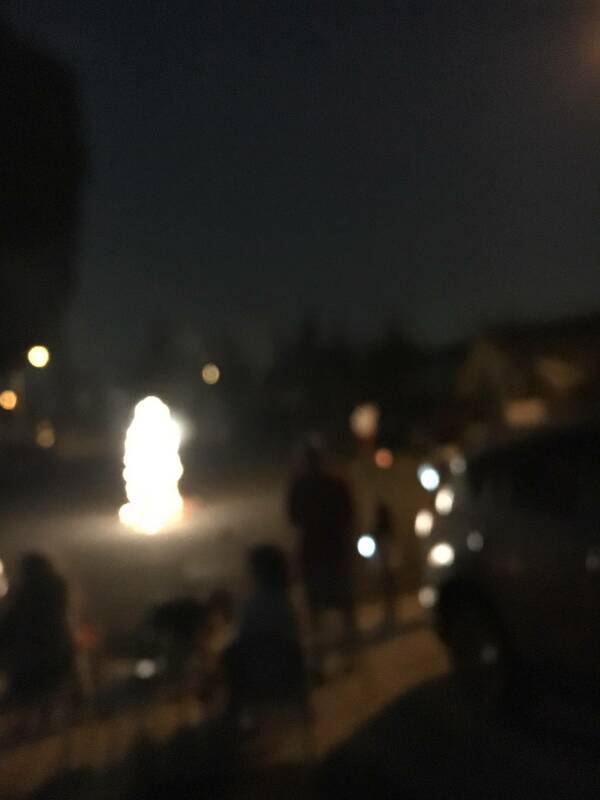 They were blowing massive things off then the little ones with sparklers. Great times.